The Ming Dynasty ruled China from 1368 to 1644 and this period is often regarded as a high point in Chinese civilization. One of the greatest eras of orderly government and social stability in human history and a time in which early signs of capitalism emerged. Ming rule saw the construction of a vast navy and a standing army of one million troops. There were enormous construction projects, including the restoration of the Grand Canal and the Great Wall and the establishment of the Forbidden City in Beijing. By the 16th century the Ming economy was heavily trading with the European powers and the Japanese which brought in massive amounts of wealth. 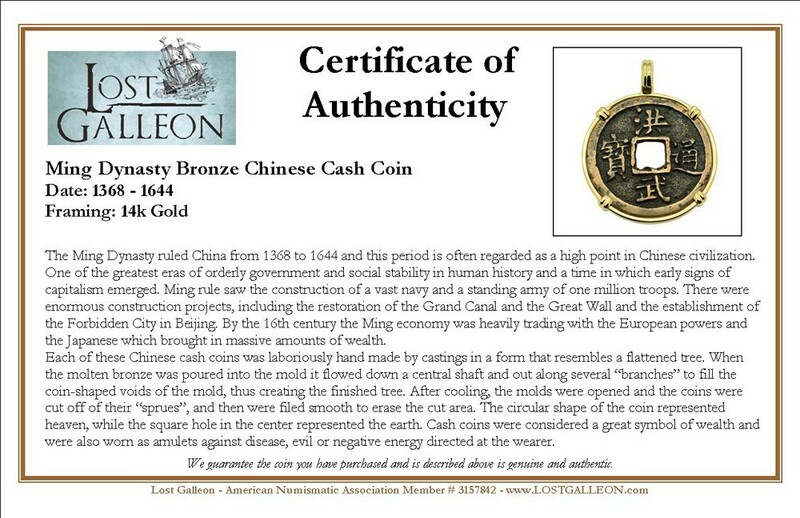 Each of these Chinese cash coins was laboriously hand made by castings in a form that resembles a flattened tree. When the molten bronze was poured into the mold it flowed down a central shaft and out along several “branches” to fill the coin-shaped voids of the mold, thus creating the finished tree. After cooling, the molds were opened and the coins were cut off of their “sprues”, and then were filed smooth to erase the cut area. 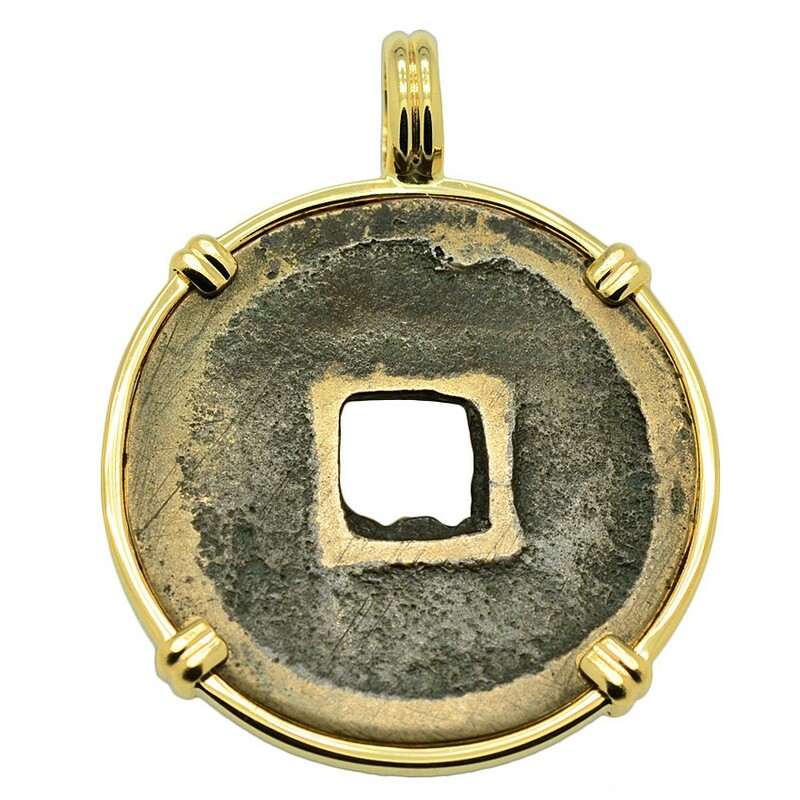 The circular shape of the coin represented heaven, while the square hole in the center represented the earth. 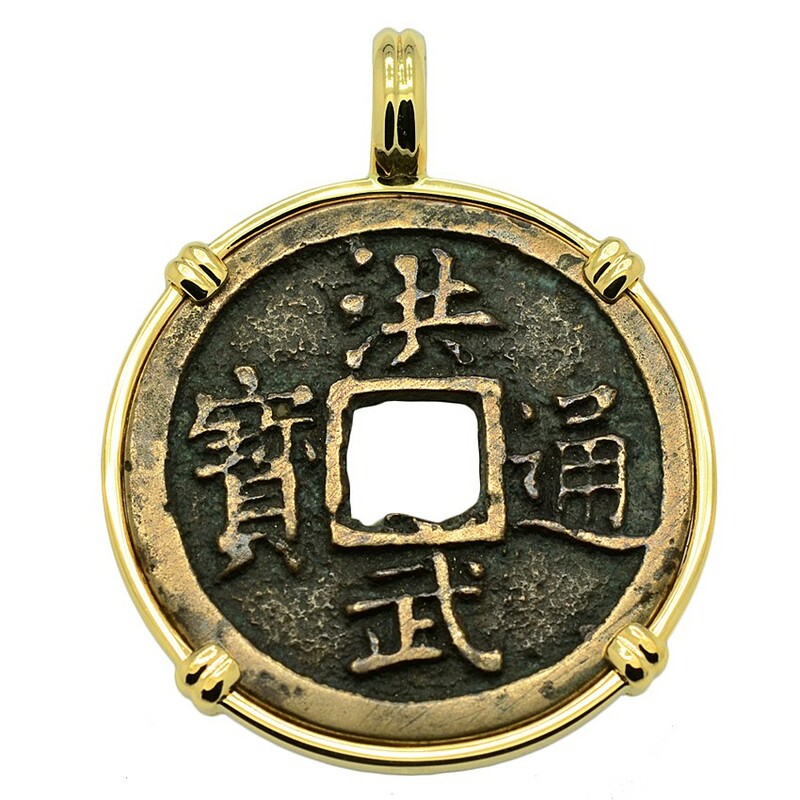 Cash coins were considered a great symbol of wealth and were also worn as amulets against disease, evil or negative energy directed at the wearer.